Spring boot tutorials with examples. 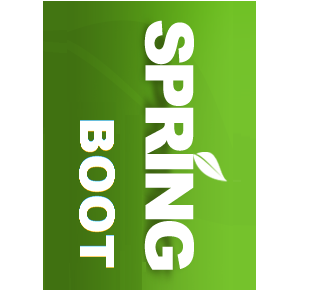 A quick introduction to Spring boot with a kickStart example. What are spring boot starters dependencies? Using maven 'import' as an alternative to inheriting spring-boot-starter-parent. Spring auto configuration with component scanning. Using @SpringBootApplication as an equivalent of @EnableAutoConfiguration and @ComponentScan. Customizing startup such as modifying banner, customizing logs etc. Spring Boot - How auto configuration works? Understanding Spring Boot auto configuration mechanism. Disabling specific auto configurations. Default locations, overriding default locations and adding custom locations for Static content . How to configure boot to serve web components like JSP pages? How to use a custom favicon in Spring Boot? 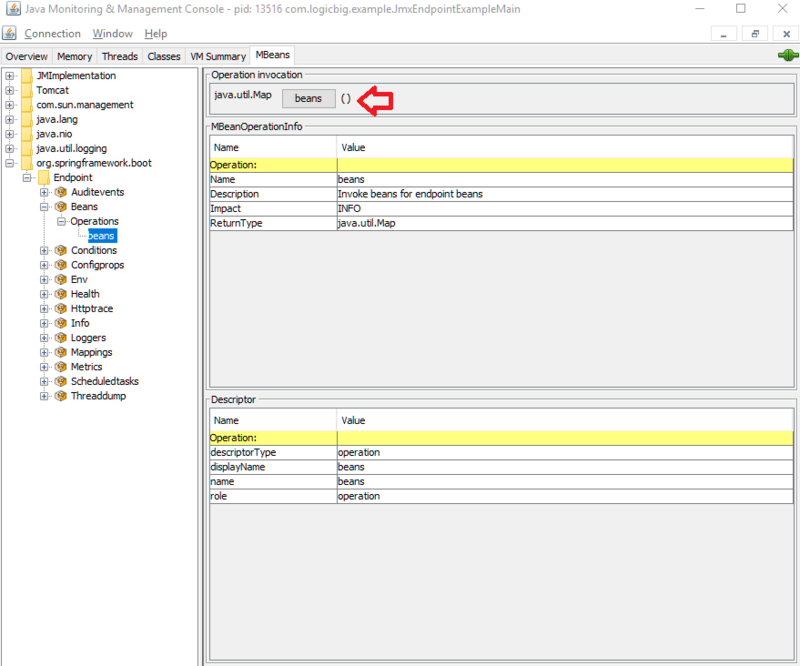 How to add and merge additional HttpMessageConverters? 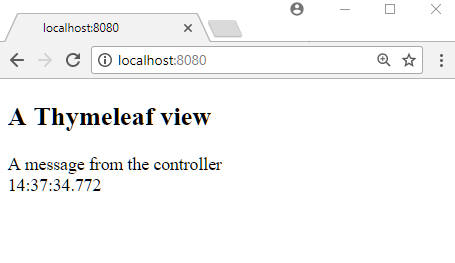 How to use servlet components in a Spring boot application? 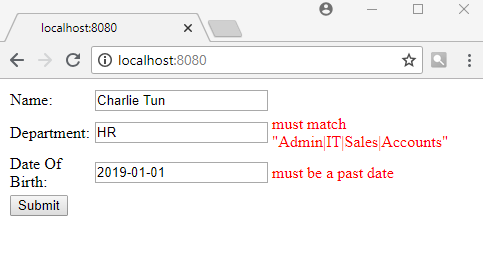 Programmatic registration of Servlet components. Using BeanNameViewResolver in Spring Boot. Important things to know about Spring Boot WEB MVC auto configuration. 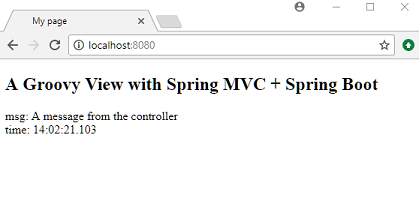 How to do additional MVC configurations in Spring Boot? Example to register a custom ConfigurableWebBindingInitializer as bean in Boot application. What is whitelabel page? How to disable it? 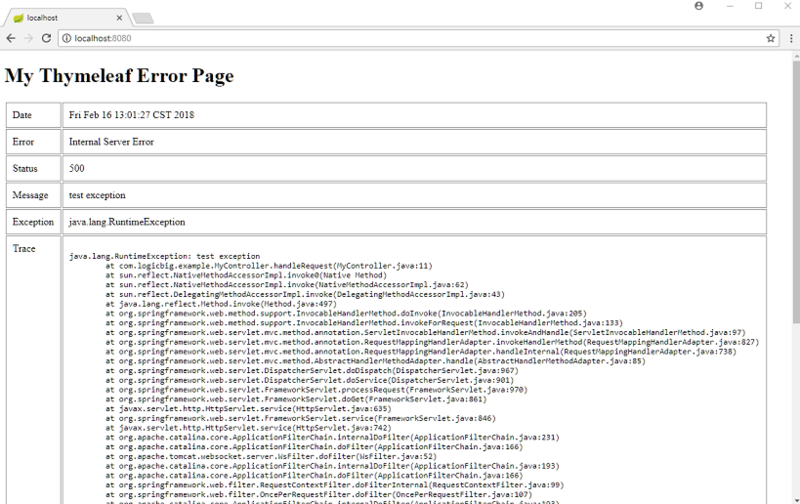 How to replace default whitelabel error page with a custom page written in JSP? 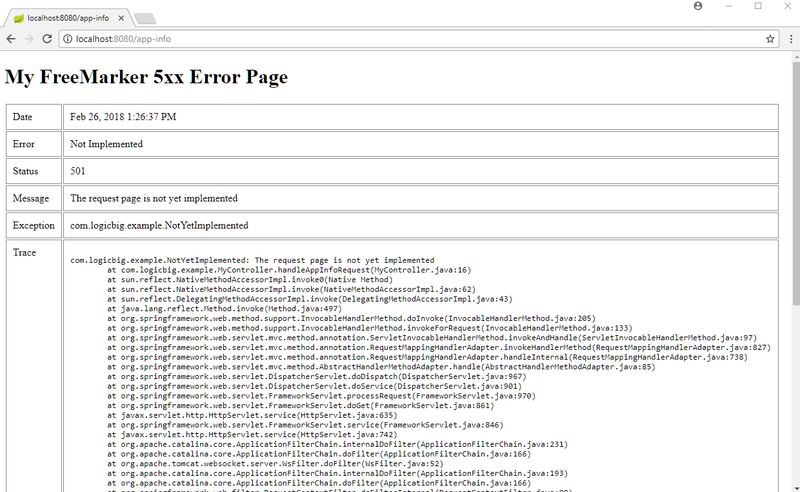 How to replace default whitelabel error page with a custom page written in Thymeleaf? 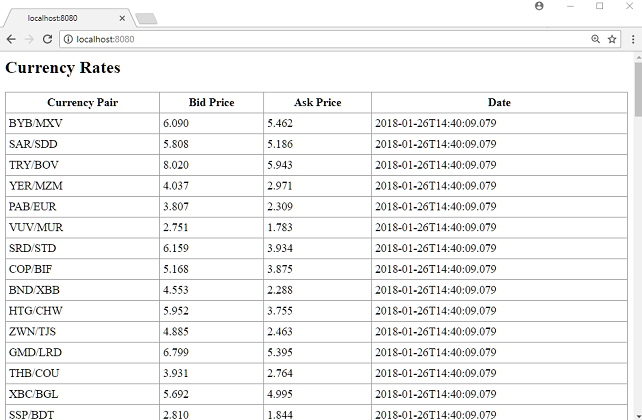 Mapping Status Codes to template engines like FreeMarker Pages. 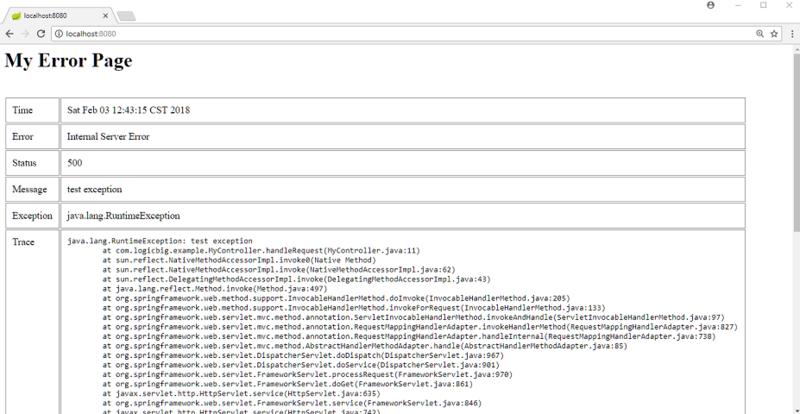 Returning error in JSON from ErrorController. 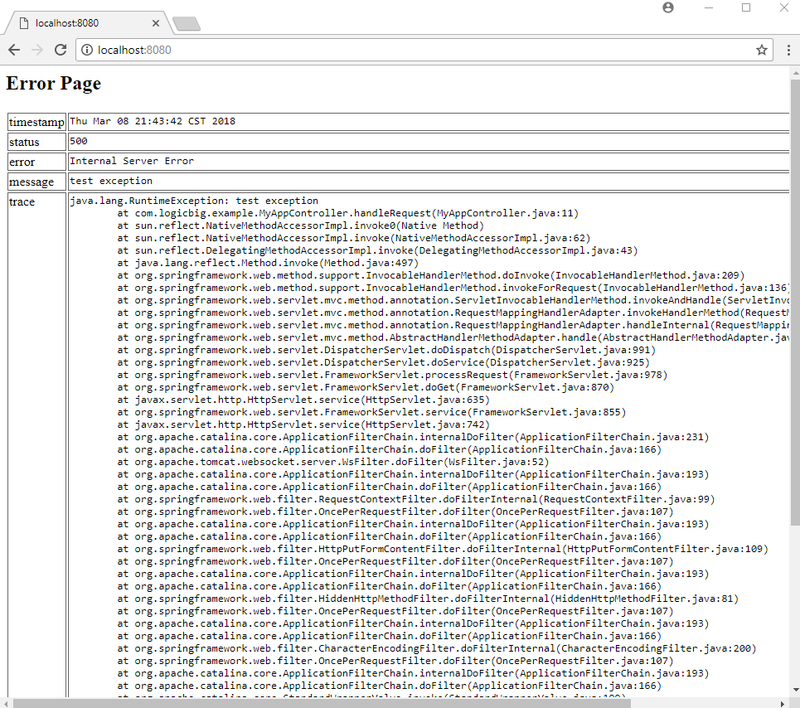 How to map Servlet based custom error handlers/pages with Spring MVC? Analyzing spring boot executable jar file format. 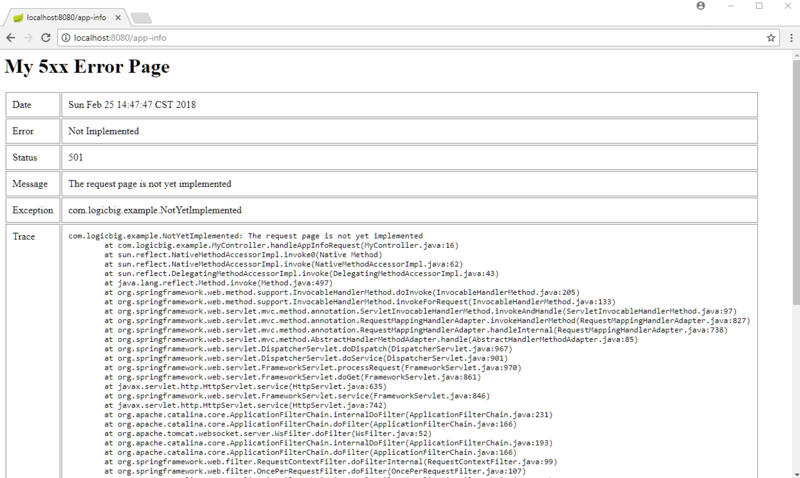 Analyzing exploded war/jar project structure when running the web application with spring-boot maven plugin. 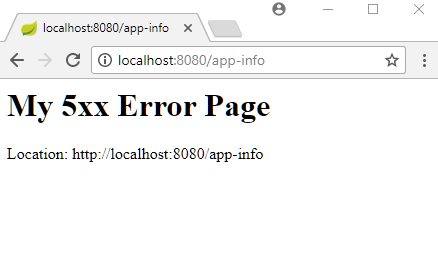 Using spring-boot-devtools to auto restart application while making new changes. Another feature of spring-boot-devtools, refreshing browser automatically on changes. Using a special file to trigger restart. Spring Boot - Include/Exclude files to trigger restart. What files do not trigger restart by default? How to exclude and include files to trigger restart? Tweaking restart delay. 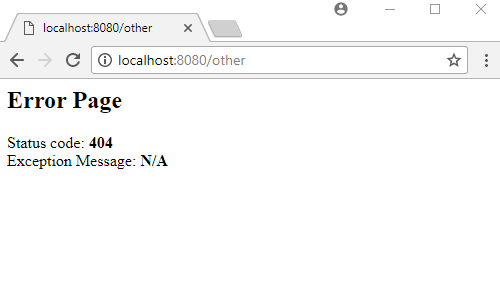 Using Spring Boot dev tools with remote applications. Examples of ApplicationArguments and @Value annotation to access application argument in Spring boot application. Getting call backs once SpringApplication started via ApplicationRunner or CommandLineRunner. 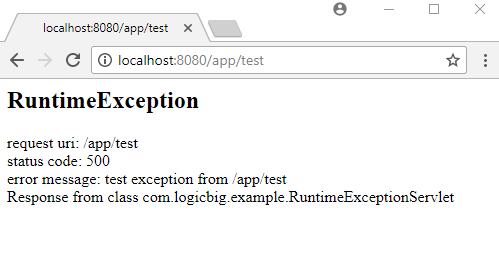 Example showing that Spring boot application implicitly registers application shutdown hook. How to conveniently return a custom exit code in Spring Boot application? Using @EventListener in Boot application. Listening to ApplicationEvents event before context initialized. How to register application listeners in META-INF/spring.factories? How to use @Value annotation to inject properties in Spring Boot? How to load application.properties from 'current directory'? How to use Maven resource filtering in Spring Boot application? How Spring Boot supports Type-safe Configuration Properties? How type conversion is applied differently to @ConfigurationProperties and @Value? How to convert custom property format to the target type when using @ConfigurationProperties? How to validate configuration fields/properties using JSR-303/349 annotations? Passing JSON properties via environment variable or application args or system properties. How to specify the active Profile in Spring Boot? How to Change configuration depending on the environment in application.yml? Default logging in Spring Boot. How to enable Color-coded console output in Spring Boot? What is LoggingSystem and how it supports logging Environmental properties? 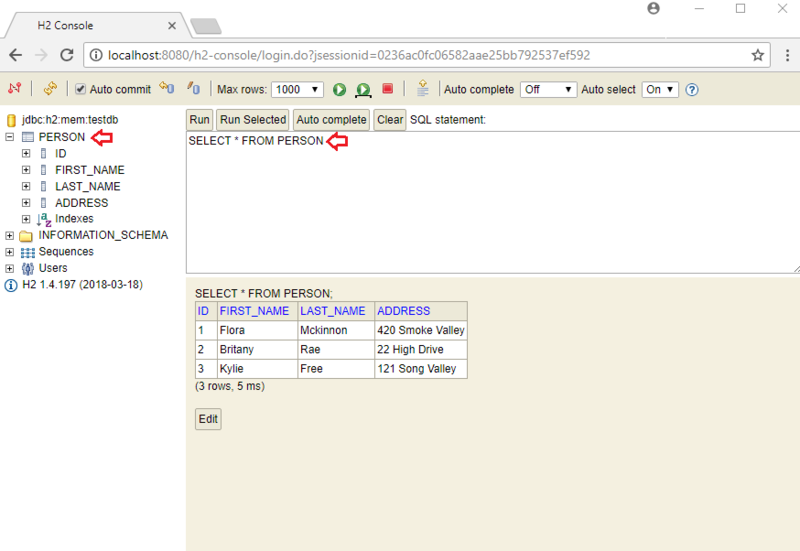 Specifying custom console pattern in application.properties. Based on active profile selecting different configuration in Logback configuration file. How to use JAX-RS resources in Spring Boot? 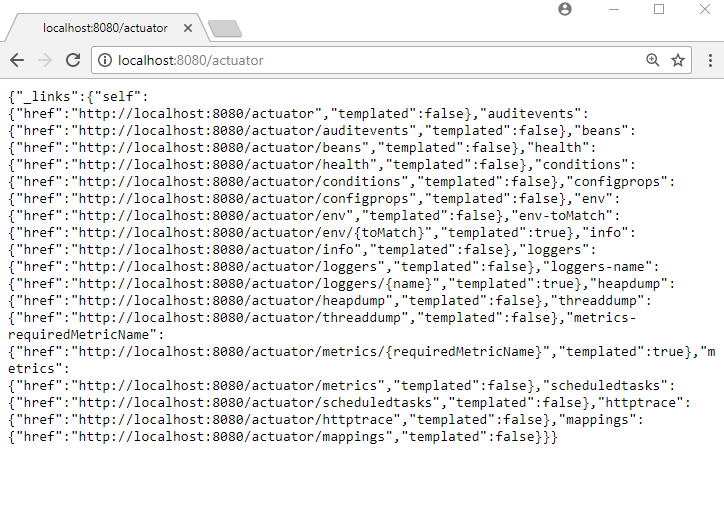 Spring Boot - Quick Intro to Spring Boot Actuator Endpoints and How to enable them? What are Actuator Endpoints and how to enable them? 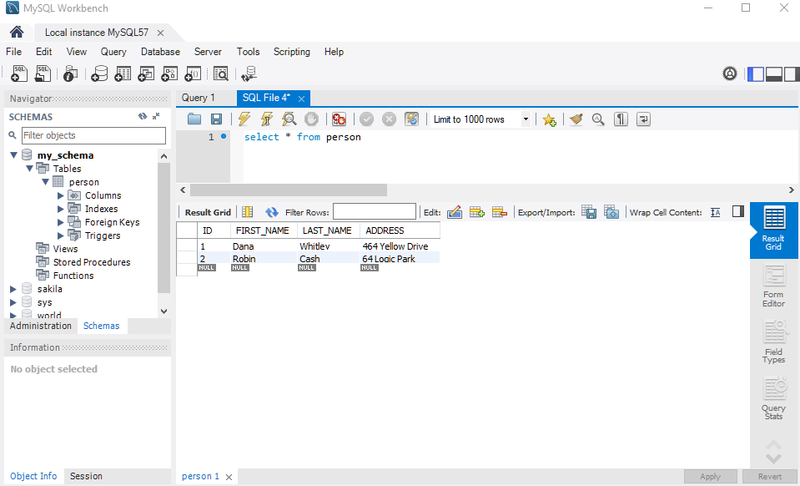 How to connect to MySql in Spring Boot? 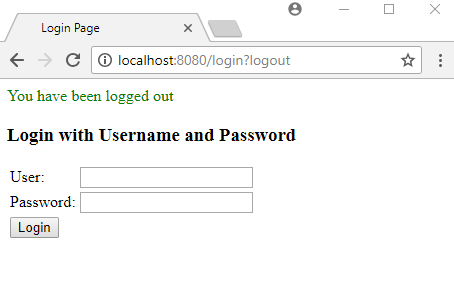 Spring Security custom configuration with Spring Boot. 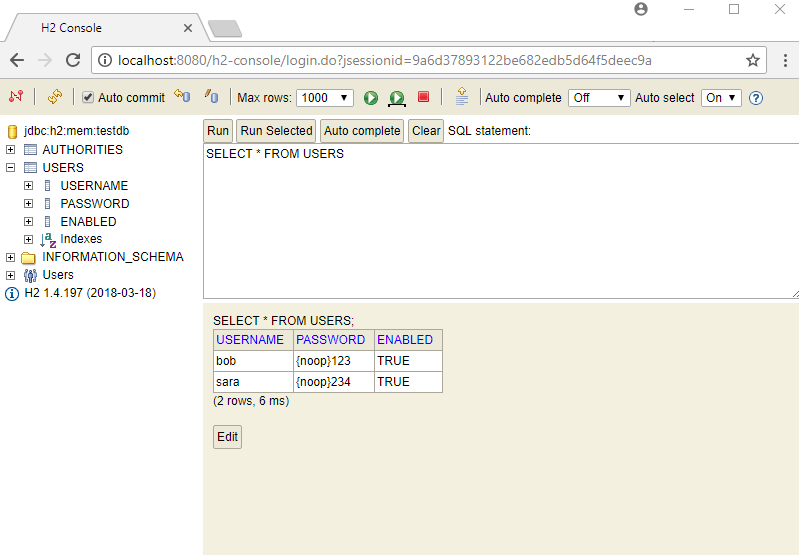 How to configure JDBC authentication in Spring Boot? 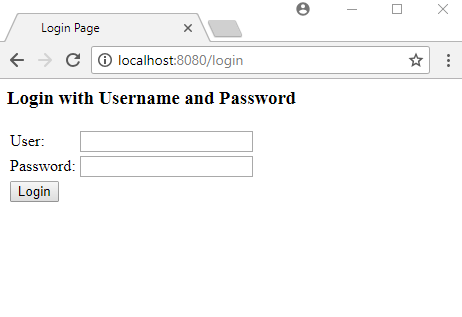 How to access H2 web console when Spring Security is enabled? Performing method validations in Spring boot.